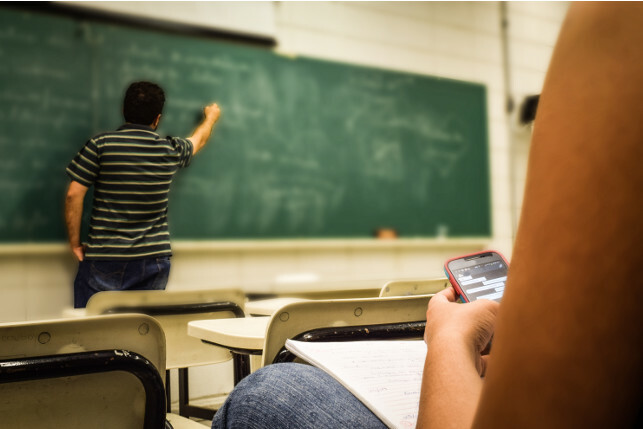 Remote teaching, growing student numbers and increasing percentages of foreign pupils globally are all pushing the education sector toward chatbots as an efficiency and sanity tool for faculty. The growth of chatbots impacts many industries, but as education becomes an increasingly commercial proposition for universities and academies, and rising nations seek to attract students from around the world, bots will play a key role in the marketing and delivery of courses. Education around the world faces similar issues to business, with unique challenges in the growth in student numbers, the need to attract wealthy international backers and to adapt to the future needs of industry. Attracting students has moved on from brochures, open days and selling courses because “your parent” went there. Now students have the world’s top colleges to pick from, easy access to lifestyle and social data, and a deeper understanding of what courses offer. Colleges are providing bots to engage with prospects and prove they are capable of talking to students using their tech and platforms. Teachers will also use bots in the classroom to help refine teaching practices. Using them as digital teaching assistants, freeing up time for teachers to handle important interactions with students. As we have witnessed in other businesses areas and markets, the bots handle the common everyday tasks, helping to make staff roles in education more impactful, hopefully enjoyable and protect roles rather than threaten jobs. For remote courses, bots can also help provide information and even deliver tests to students anywhere in the world on their notebooks or devices. Helping provide instant results, and feedback on qualitative answers to help improve student knowledge. Teaching and revision bots can provide ad hoc tests, ping pupils with reminders of key facts or required reading. They could be used to help assist in preparing for tests, translations for language-based courses and encourage more interactive teaching. One key trend in education is the move away from permanent attendance and courses to evening or work-based education. Rather than gathering in a college for evening course or hotel conference room for training, bots and other tools can help provide desktop-based learning with a greater degree of early e-learning efforts. Leading startup Khan Academy is on a mission to provide a free, world-class education to anyone, anywhere. Over the last 11 years, it has built a massive repository of online learning and encourage learning on any device. Bots could soon help deliver the core syllabus, quick learning bites or short courses. It could also help answer questions, using AI or deep research to find an answer to the deeper questions that students might have. Colleges have masses of data that can be used to train bots, providing the basis for rapid deployment to social media or college sites and apps. Bot data can also be used in conjunction with features like sentiment analysis to study how much students enjoy their studies and provide adjustments if the student or the course aren’t getting on at an individual level. Bots will also help the front office staff deal with the usual range of student queries and improve timeliness. They can also help at-risk students by providing non-confrontational ways to get in touch and discuss mental health or other problems. Education is set for huge changes in the coming decade, and chatbots will play a key role in help students choose a college and learn their courses. They will make institutions more efficient and more accessible when managing faculty and the student body, all in ways that are easily available and at low investment cost.